beach scene snack | what is clara eating today? mix all the dry ingredients. mix in the butter until the mixture is crumbly. bake at 325 for 3-4 minutes. let it cool. then crumble it. spoon in the blue yogurt into a cup. sprinkle the sand on one side of the top. arrange different shapes for a fun scene. 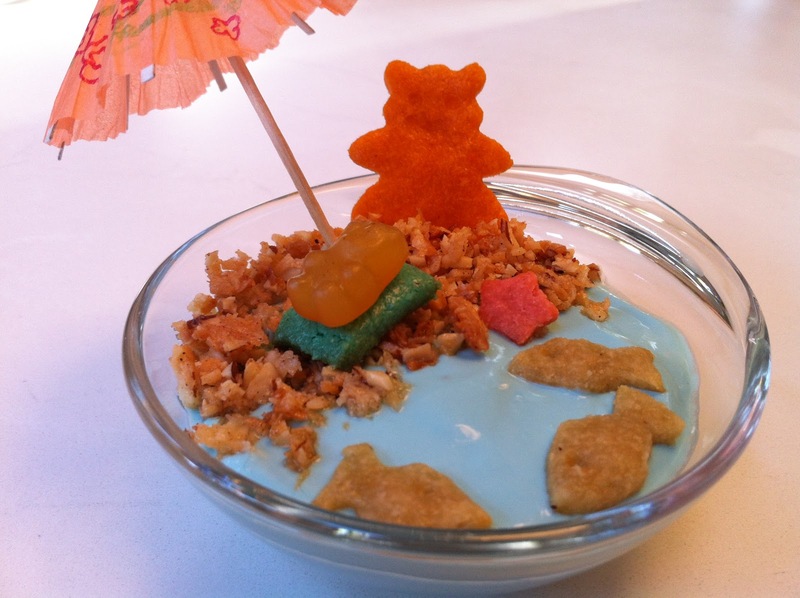 calculation will depend on the toppings, so i am just showing calculation of ocean and sand, not the toppings.